In the last few days, deaths and more deaths have been reported in Zamfara and Adamawa States, most of them carried out by unknown bandits. They creep into communities, kill residents while making a mess of security operatives strategies that seem very weak. 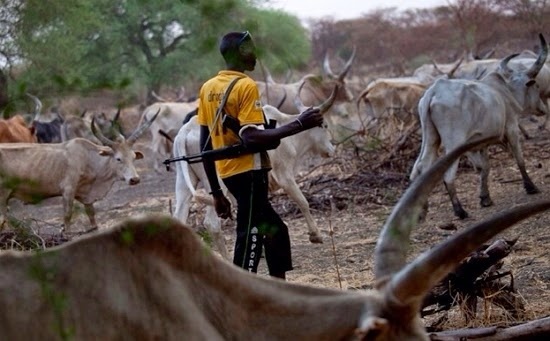 These attacks are sometimes carried out by arms-carrying herdsmen. Cases of insecurity have become a source of concern to residents of Zamfara, as most people sleep with one eye open. The Senate is also troubled over hell that has been let loose. It has almost become open season for criminals as security agencies struggles to arrest the invincibles. At plenary on Wednesday, Senators deliberated on the increasing attacks on communities and one thing that was emphasised was the need for Nigeria's security system to be rejigged. Although not all Senators agreed to the possibility of ending the crisis with the establishment of state police units, some believe it could work. Senator Tijjani Kaura had moved a motion of urgent need to look into the killings and arson that took place in Shinkafi Local Government Area of Zamfara State. Senators began contributing to the debate, with some identifying different issues that must be tackled. "This is beyond the Nigeria Police Force. More than five villages are out of their homes in Zamfara State. We need to mandate the Federal Government to deploy the Nigerian Army instead of the police," Senator Sani Yerima said. "I support this motion. The last six years we've lost over 5,000 individuals in the menace happening in Zamfara State," Senator Kabir Marafa stated. Some Senators stressed that the situation had been made worse by growing impunity. "Some of the masterminds of this communal clashes are known. Some have been apprehended before and released," Senator Abdullahi Adamu told the Senate. Senator Jonah David Jang says such situation portrays Nigeria as a lawless society. "People are arrested at the State level, transferred to the Federal level and then released," he said. Some other Senators blamed security agencies for the continued attacks, with Abdullahi Yahaya insisting that the entire security outfit in Nigeria had collapsed due to corruption. "We must organise a round table discussion among all security agencies constituted. There is a need to amend our constitution. This communal clash must not linger on, I support State police," Senator Yayi Adeola said. On his part, the Senate President, Dr. Bukola Saraki, told the lawmakers that it is imperative that the issue is dealt with, as "coming here all the time to condole and get up to observe one minute silence would continue if nothing is done". "Let us use this opportunity to really ask ourselves what should we do and how do we go forward with this. "We need to set up a committee and find the way forward. "I hear most of us saying the military should be deployed but that is not their designated responsibility, so, that cannot be a long term solution. "We need to really put an end to this," Dr. Saraki added. At the end of the debate, the Senators reached an agreement to set up an Ad-hoc Committee of the Senate that will review the current infrastructure of the Country and hold consultative forum with security agents.